This activity book introduces you to real Minnesotans from a diverse range of heritage backgrounds. The stories presented in this book reflect what the individuals wanted to share about their cultures. 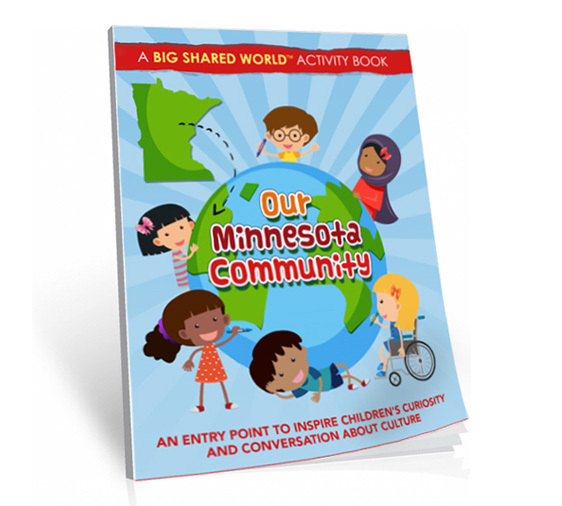 As children read about the different Minnesotans featured in this book, we hope they will think about how culture and heritage are important in the life stories of these Minnesotans and are also important in their own stories. As their view of what it means to be a Minnesotan expands, we believe it will also increase their curiosity and understanding of our big, shared world. This activity book introduces you to real Minnesotans from a diverse range of heritage backgrounds. The stories presented in this book reflect what the individuals wanted to share about their cultures.